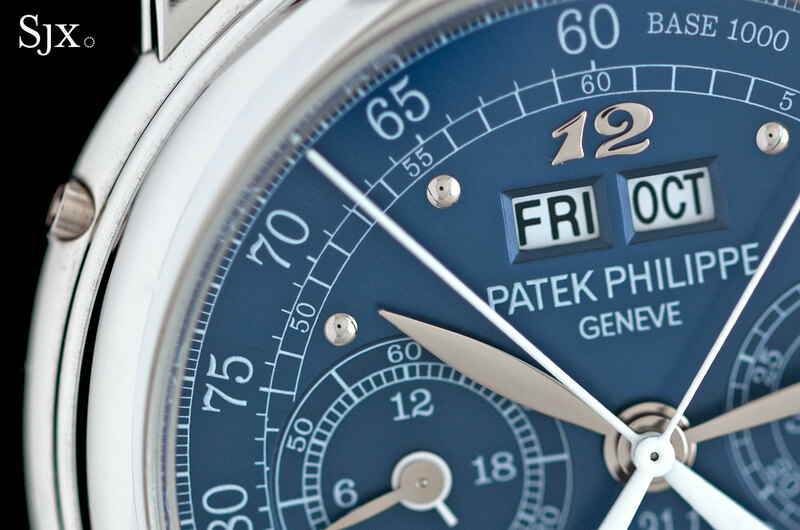 Phillips will soon offer a unique Patek Philippe ref. 5004 in platinum that was originally owned by Eric Clapton. 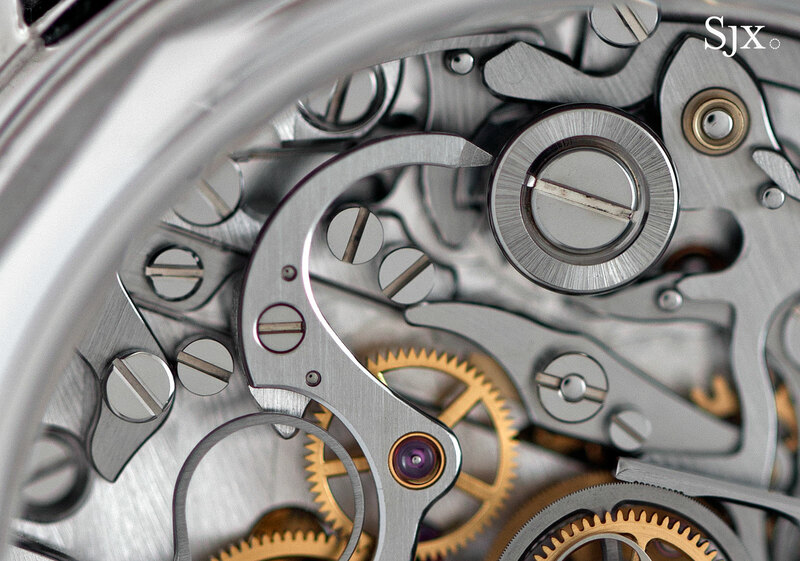 See it here in unparalleled detail. 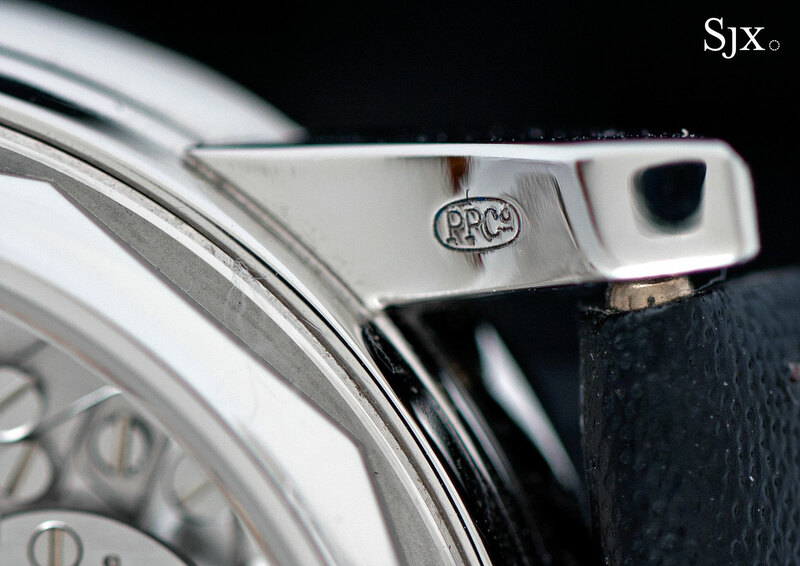 Eric Clapton is the winner of 18 Grammy Awards, a three-time inductee into the Rock and Roll Hall of Fame, a Commander of the British Empire, and also a watch collector. 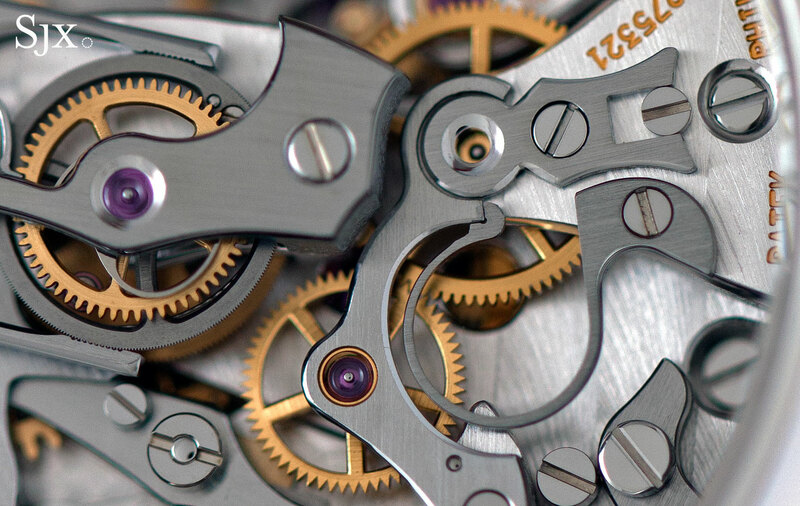 While Sir Eric is not known to have commented publicly about his hobby, his penchant for fine watches, both vintage and modern, is well known. 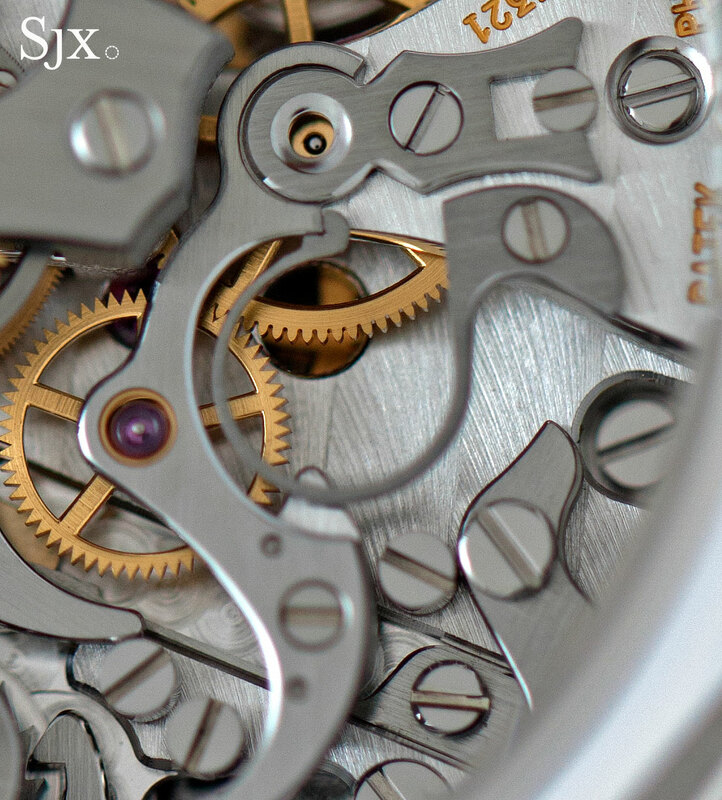 Seemingly possessed of a penchant for Patek Philippe and Rolex, the English singer has been spotted wearing notable timepieces in public on many occasions, and actively restructures his watch collection. 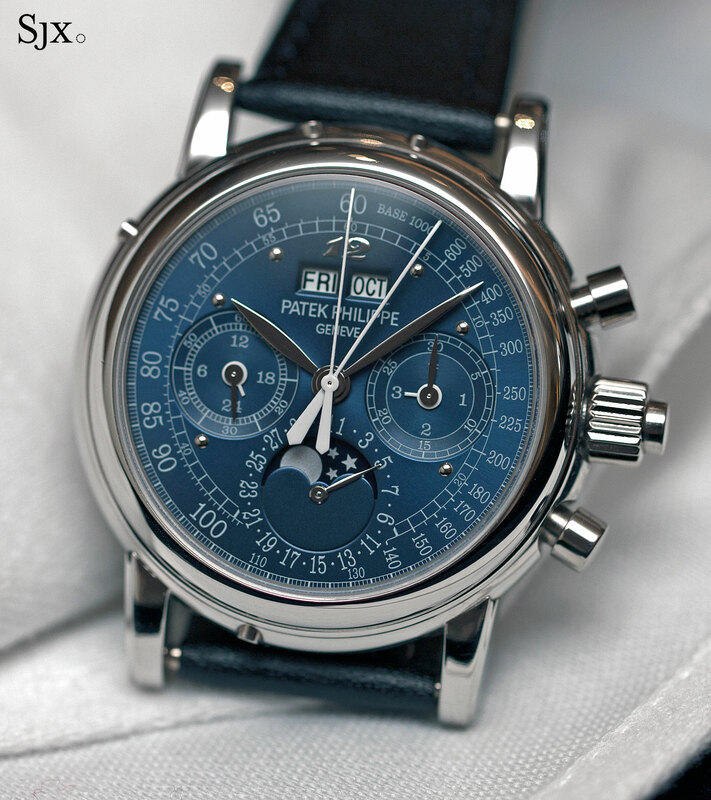 Several watches once owned by him have turned up for sale at international watch auctions, including the record-setting Patek Philippe ref. 2499 in platinum. 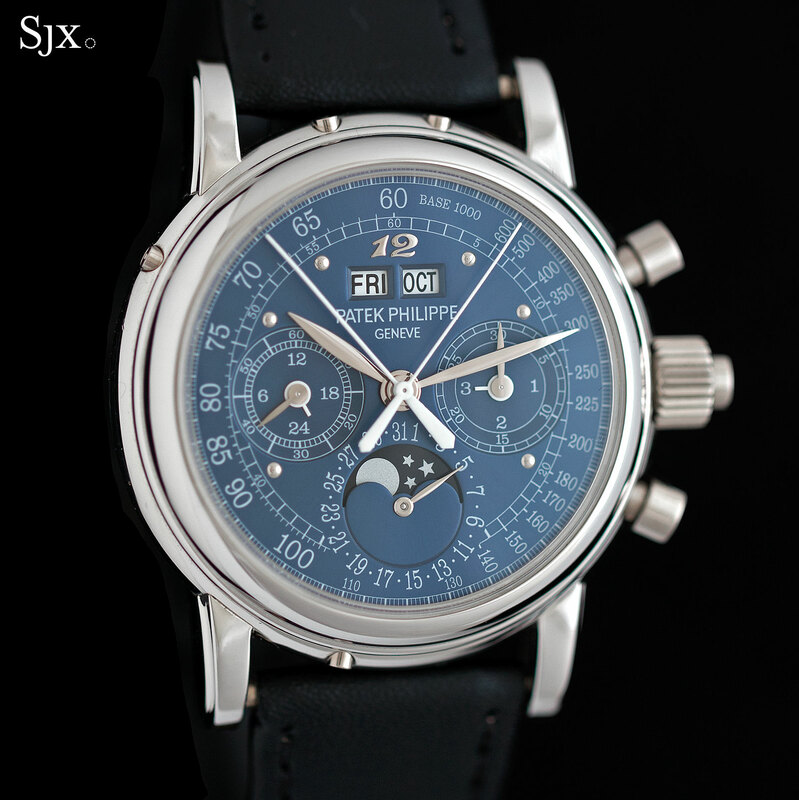 The latest ex-Clapton wristwatch to go under the hammer is a Patek Philippe ref. 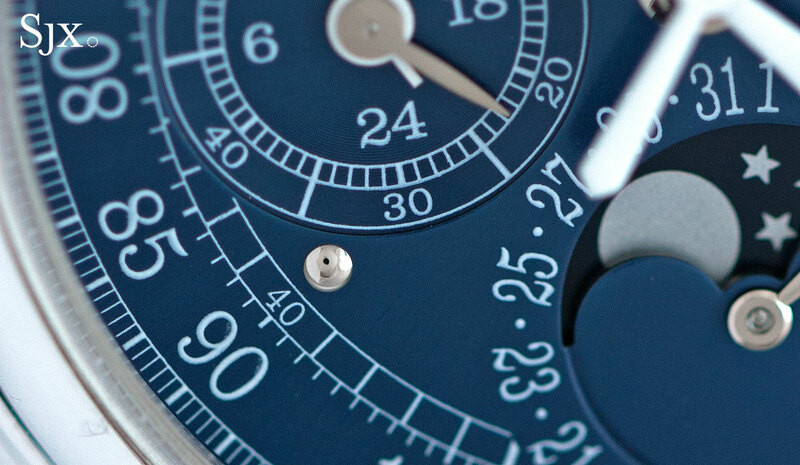 5004P, a split-seconds chronograph and perpetual calendar in platinum, with a one of a kind deep blue dial. 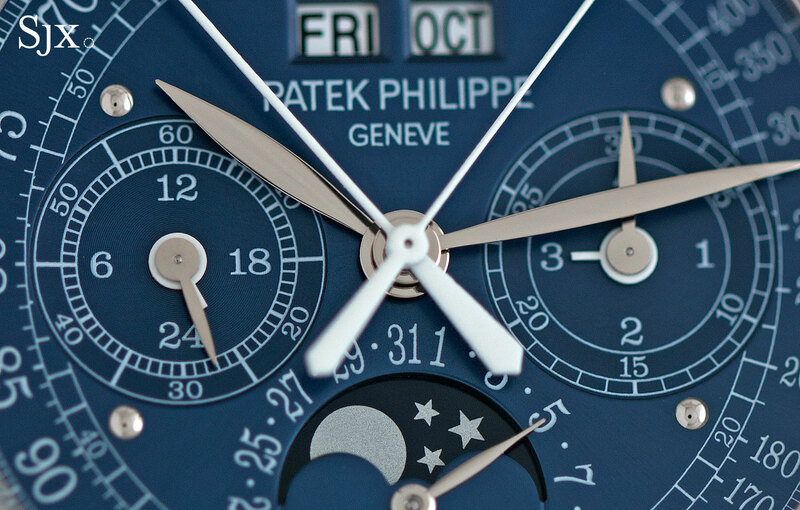 While historically custom-order Patek Philippe with unique features were the kind of rare treasure that one had to go Knockin’ on Heaven’s Door to obtain, that no longer seems to be the case. 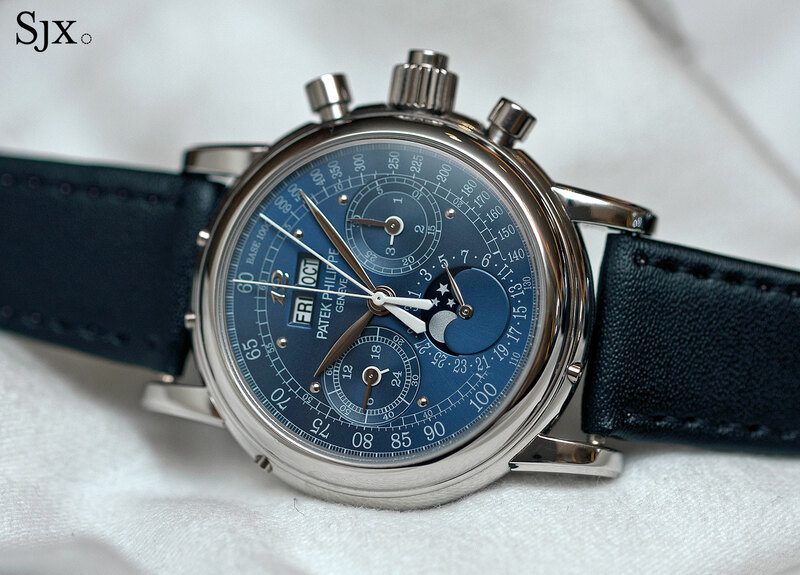 Patek Philippe has made numerous one-off timepieces in recent years, the number that turn up at auctions being proof of that, resulting in some collectors just Running on Faith; even talk that its bespoke department is like a Runaway Train. That being said, this ref. 5004P is special enough that the future owner will certainly be feeling Wonderful Tonight. 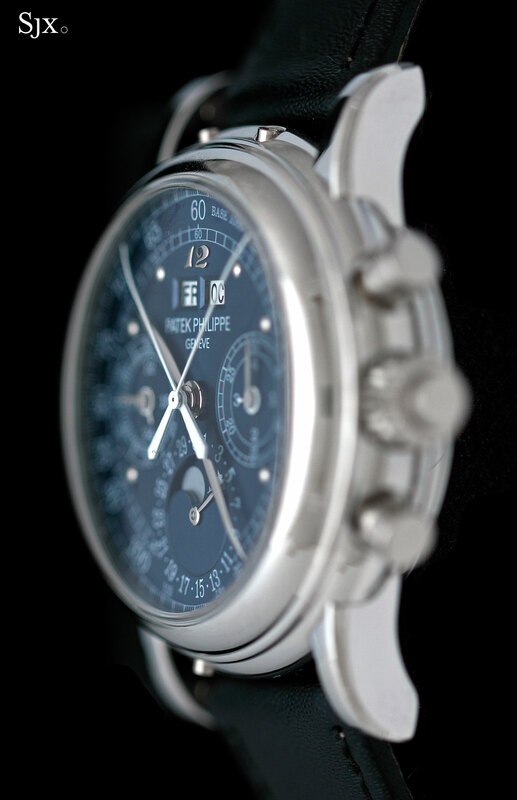 The details on the certificate accompanying this watch, which was sold in early 2009, translates as “Monsieur Eric Clapton, London, Great Britain”. 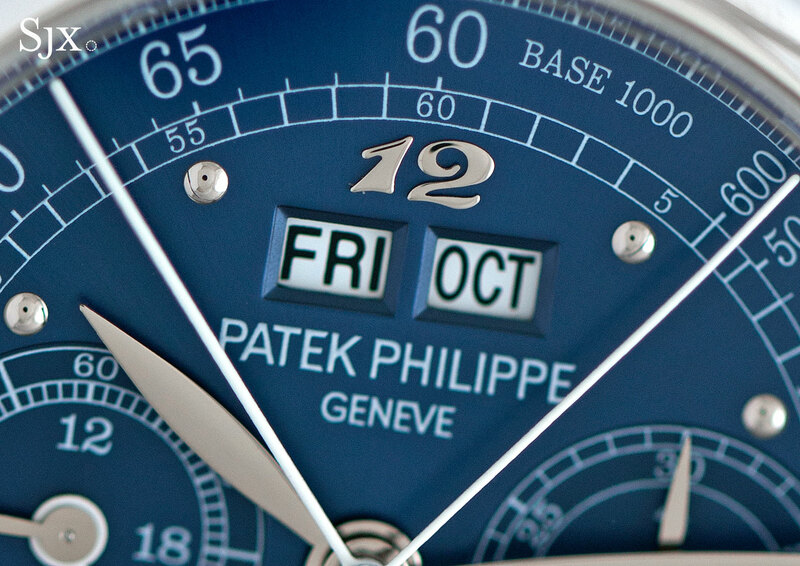 What makes it special, in fact, the only thing that’s special, is the rich, metallic blue dial. 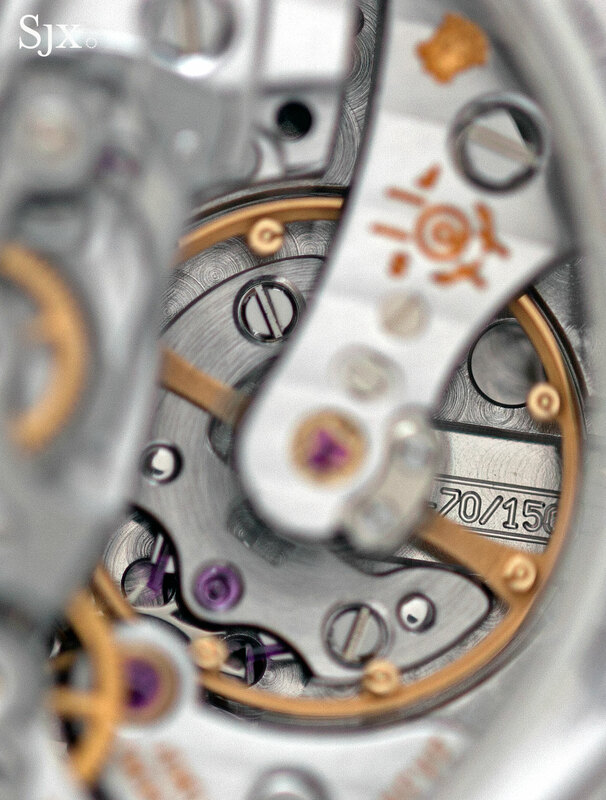 Finished with a sunburst brushing, the dial features spherical hour markers, except for a Breguet numeral “12”. Other refs. 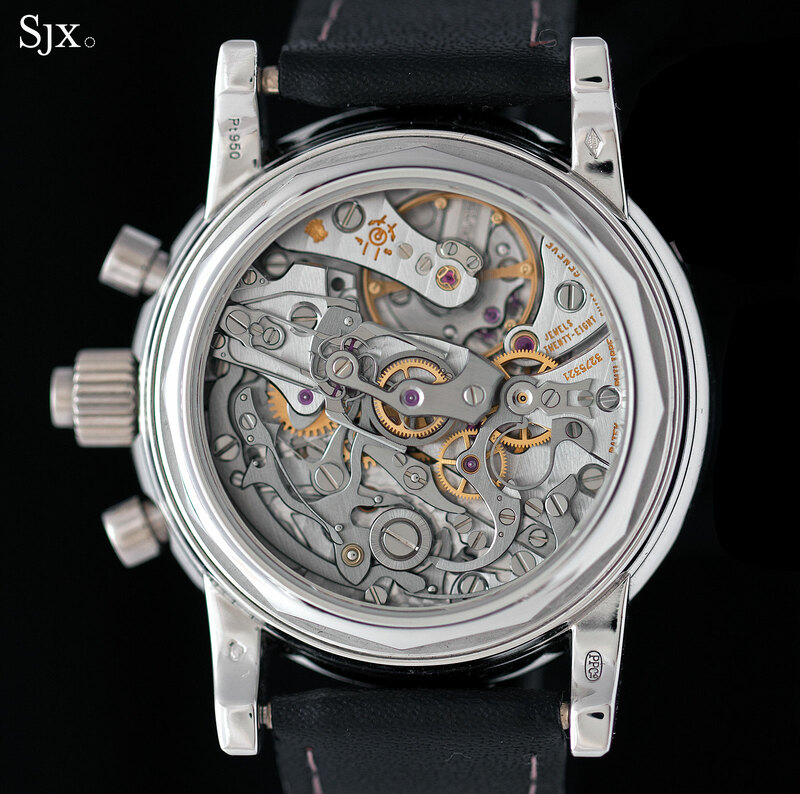 5004 have surfaced with similar dials, including one at Christie’s in 2014, but those had a Roman numeral “XII”. 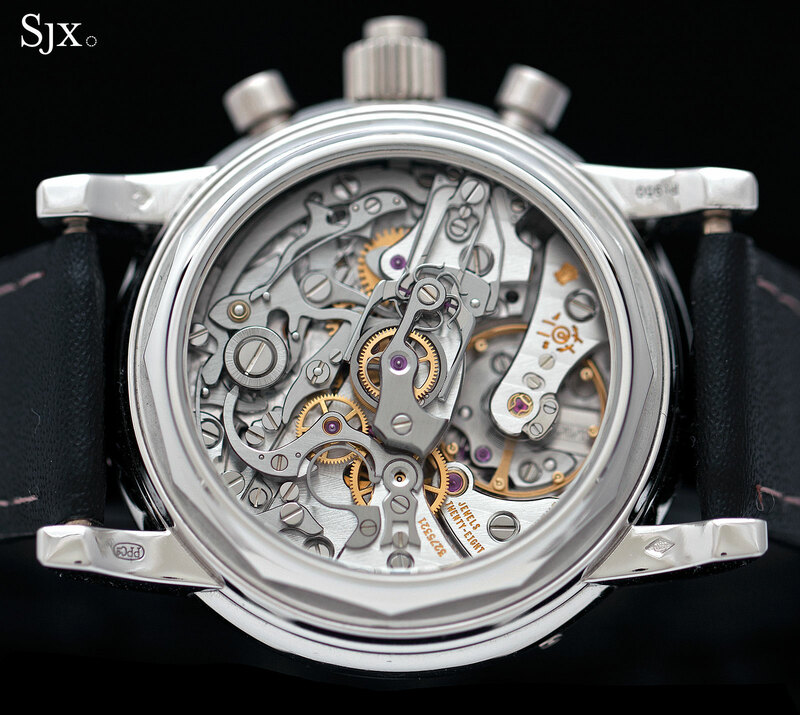 Clapton’s specimen is the only one with a Breguet “12” to date. 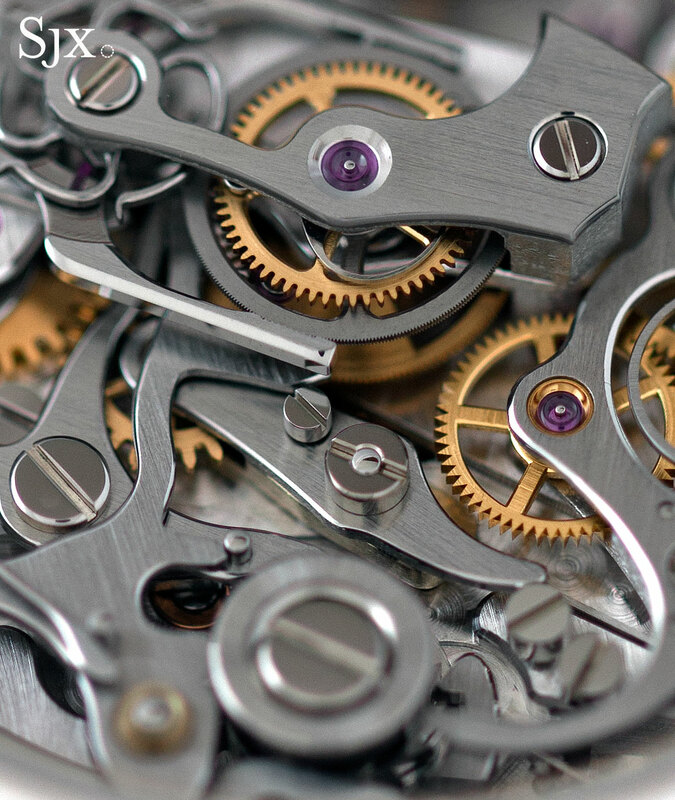 Dial aside, the rest of the watch is stock ref. 5004. 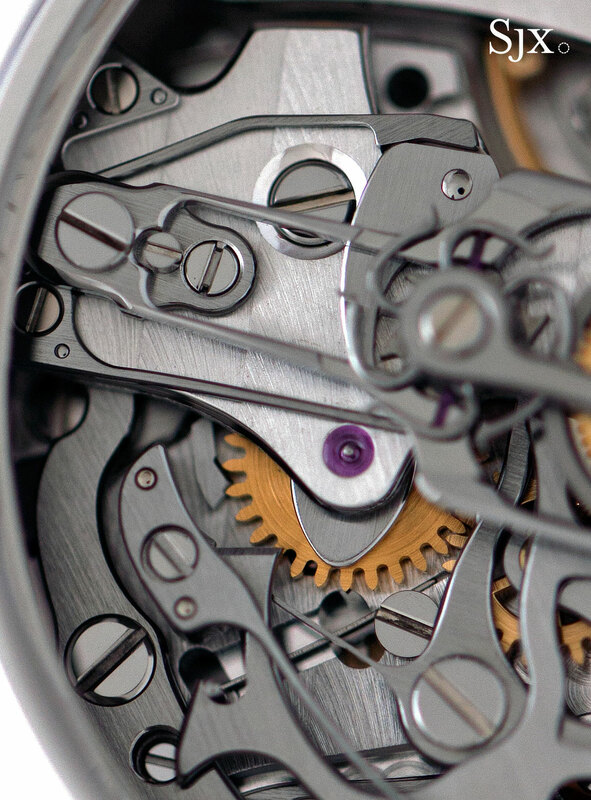 The platinum case is hefty, but a smallish 36.5 mm in diameter, with a noticeably large crown to accommodate the co-axial button for the split-seconds. 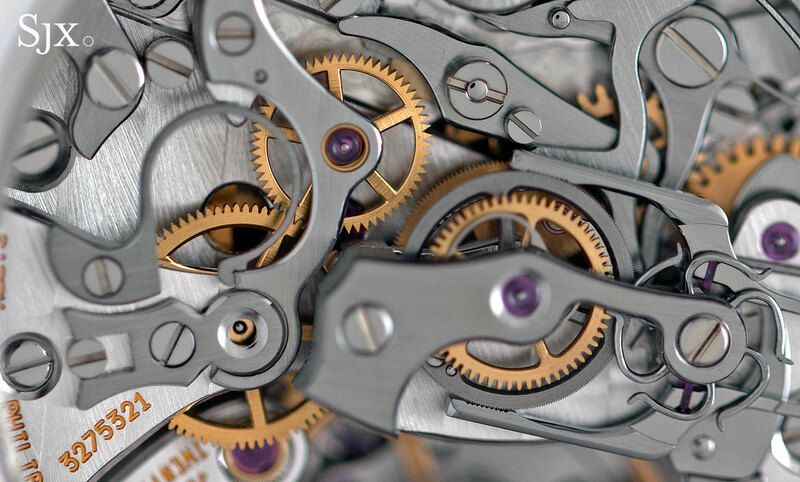 Because of the thickness of the rattrapante movement, the watch is thick, giving it a portly appearance. 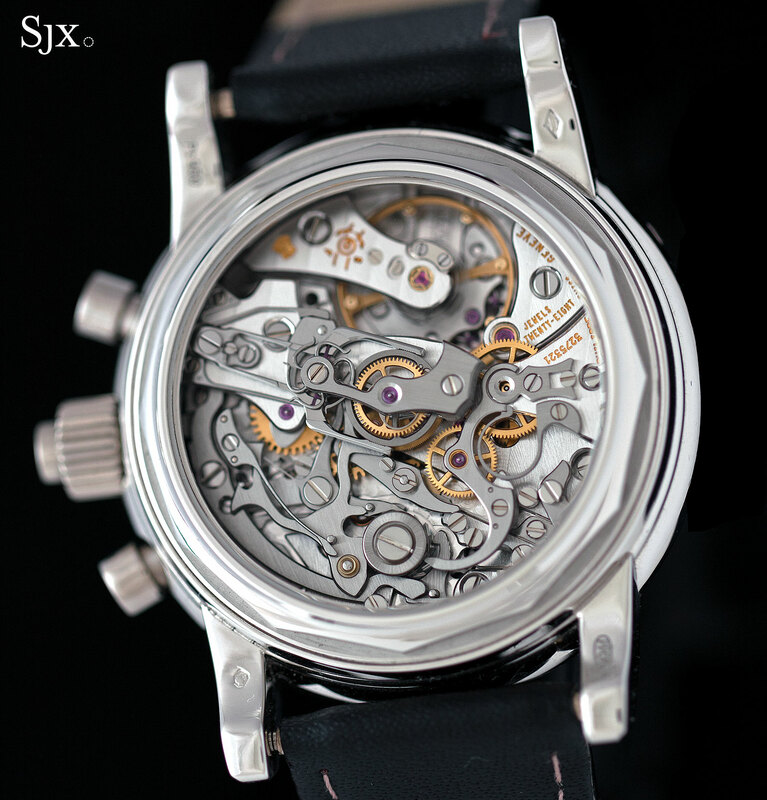 The movement inside is the CHR 27-70 Q, an improved Lemania 2310 with a split-seconds mechanism layered on top. 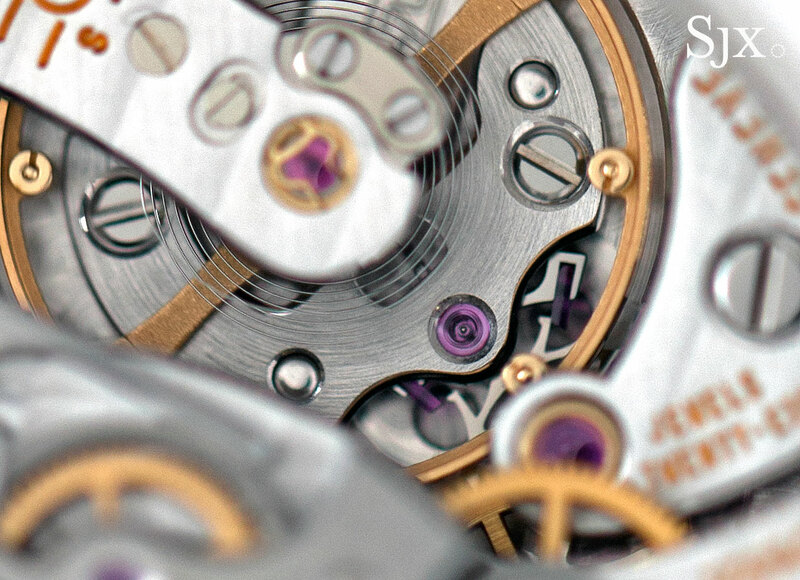 While it has the gorgeous looks of a traditionally constructed high-end chronograph, the movement is not particularly robust since a split-seconds was cobbled onto a small base movement that was not originally designed to accommodate one. 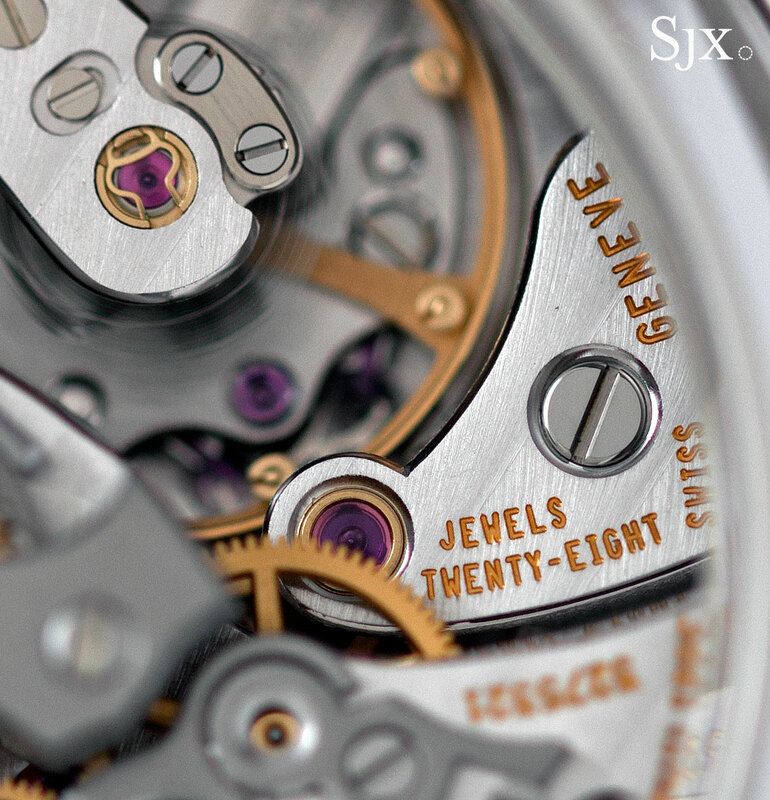 These shortcomings were addressed with the calibre CHR 29-535 PS, an in-house movement found in the alluring ref. 5370P. While most resilient, the in-house movement is distinctly more modern than the movement in the ref. 5004. That being said, the proportions of the movement inside the ref. 5004 – a small diameter but substantial height – gives it great depth. 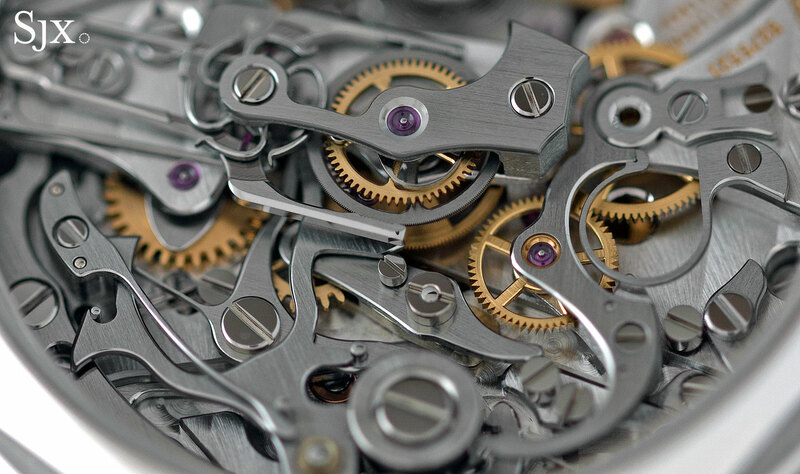 The split-seconds mechanism in centre, with its distinctive callipers and octopus wheel – seem to tower over the rest of the calibre. 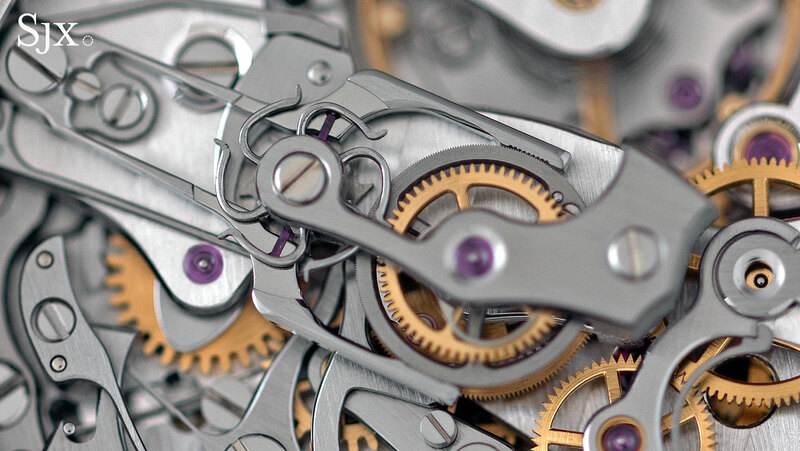 There is a lot of lovely detail in the movement. Even if this didn’t belong to Clapton, the ref. 5004 is a beauty in its own right. 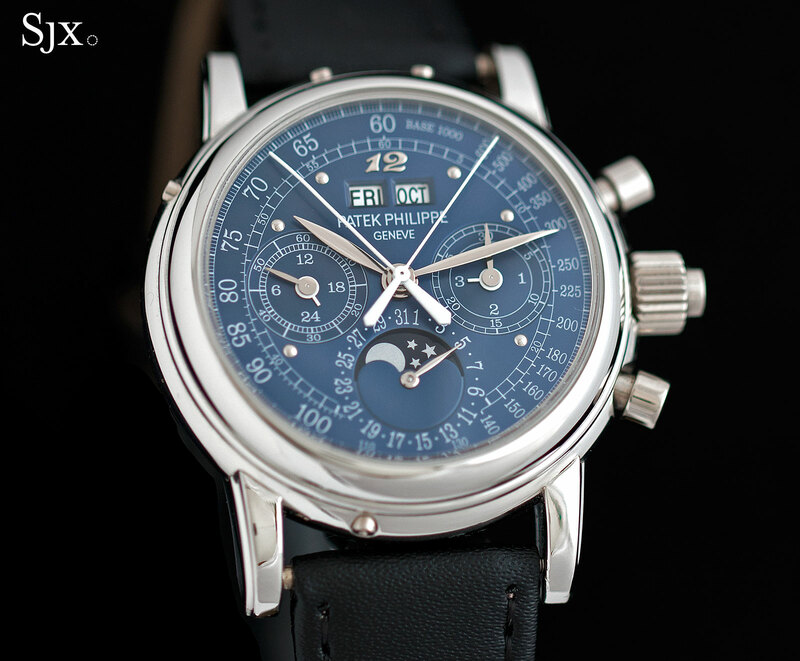 This Patek Philippe ref. 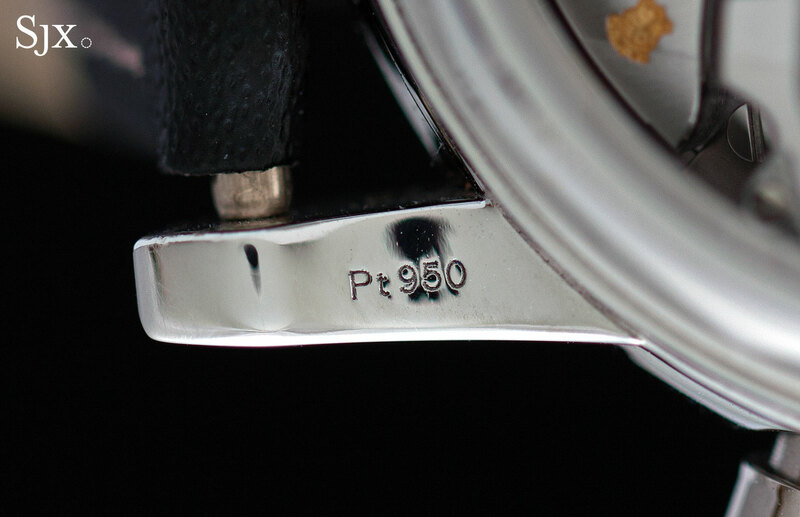 5004P once owned by Eric Clapton is lot 169 in Phillips’ The Hong Kong Watch Auction: Two, slated to go under the hammer on May 31, 2016 with an estimate of US$350,000 to US$550,000.